Phil was really personable. The blinds were made ahead of schedule and we have been really pleased with the results. The rear of our property proved quite a challenge, it took the fitter 8-9 hours to fit the french style shutters because he wanted to make it perfect. We did get a visit from Hilary first but preferred to go with ShutterHome. Excellent service, fast and efficient installation. Working shifts means sleeping during the day can be tricky but the shutters, along with the blackout upgrade, work perfectly and the room is now pitch black. Highly recommended. Thanks Phil, shutters look great! I am a person who is somewhat hard to please, I have never bothered to write a review online before as no company has ever really exceeded my expectations! That is until now! . Phil, Murray & Helen did a fantastic job and I am absolutely thrilled with the results. I gathered quotes from numerous suppliers but non were as knowledgeable or as approachable as ShutterHome, and in many cases as reasonable! If you are looking for top notch knowledge and impeccable fitting then ShutterHome are the company for you. I’d recommend Phil and the team to my neighbours, friends and colleagues without any hesitation. 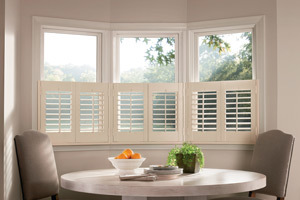 If you're looking to buy shutters, look no further! Phil is an expert consultant and provided superb advice and walked us through all the choices available. The product is top notch - great quality, superb finish, feels really sturdy and looks beautiful. 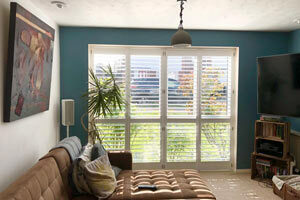 Murray installed our shutters whilst we were travelling abroad - the workmanship is fabulous. 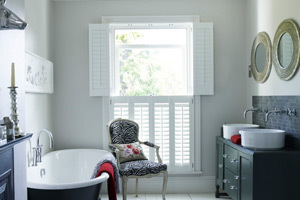 Compare and contrast this to the experience when we last purchased shutters from Thomas Sanderson. Watch a couple of episodes of"White Gold" (BBC2) to get an idea of the experience. ShutterHome delivered a better product at a more affordable price and the whole experience was so much more professional. Highly recommended. Great product, great quality and fitting service exceptional. I highly recommend this company. I love my shutters! David did a great job both at talking through the options and fitting them. I am very pleased with the fitting service received - the job was done to an excellent standard and the shutters look great!